There's handcrafted and there is truly handcrafted. This term can be used loosely and I often find that products that are labelled as handcrafted will have only 'just' come into contact with hands ... 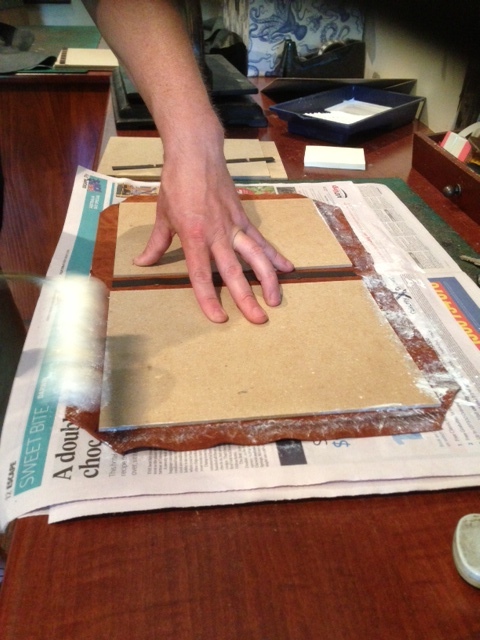 But when we say that we craft our books by hand, we mean just that. 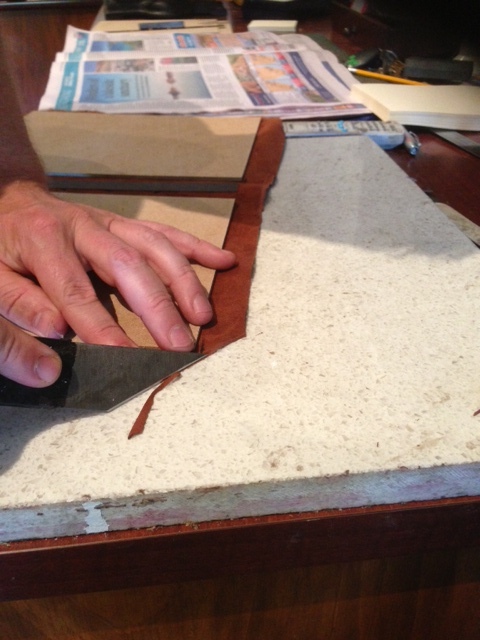 Every individual book is crafted by hand, from the pared leather and raised bands to gluing the boards. It is a fairly time consuming and labour intensive process, but for us it is a labour of love. Each book is individual, not machine replicated, and it is this care and attention to detail which guarantees the longevity of our books. People often put their head into our View Street bindery and ask questions about the process of binding a book. 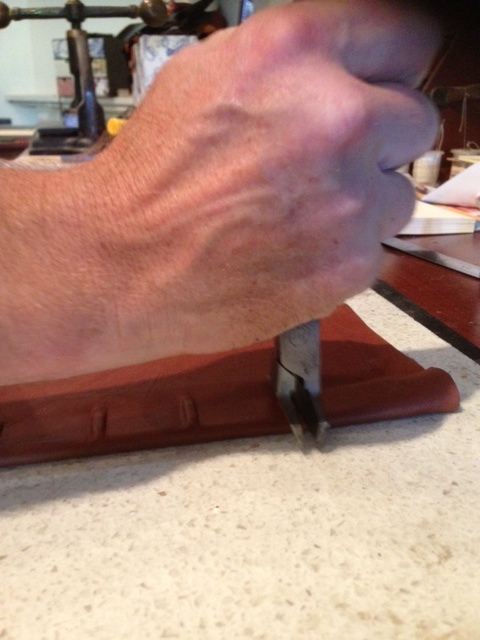 So to give you a bit of an idea, here are a few pictures showing some of the steps involved in 'hand' crafting the cover of one of our full leather journals. Please feel free to comment or ask questions at the bottom of the post. To learn more about the craft of bookbinding, come and do a Beginner's Workshop and have a go at making your own hard covered book. Further details can be found here. One of the most frequently asked questions I get from customers is how they should handle & care for their books. From deluxe bindings to freshly restored family bibles, people want to make sure their precious books stand the test of time and can be handed down from generation to generation. 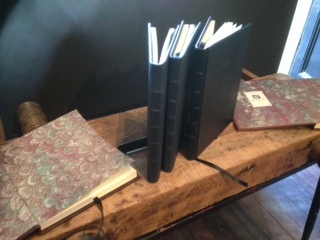 In this first part of our three part blog series we will look at care of new leather bindings. The great thing about new leather is that there are many things you can do to help protect and preserve its pristine condition without worrying about existing problems. The main things to consider when caring for your books are housing, environment, nourishment and handling. Housing: Books can be kept in a variety of ways to help preserve their binding. The most simple housing of course is on a bookshelf, this should be in an area that is not exposed to extremes of temperature ie. not in close proximity to heating or cooling vents. Store books upright (not leaning) with spines facing out, or lying flat on the shelf. A door on the bookshelf can help to protect from dust and other air born elements that can deteriorate the binding. For very precious bindings such as deluxe editions, archival solutions such as slip cases or clam-shell boxes made from acid free materials are ideal to keep your book protected from elements that can cause deterioration. Nourishment: There is fierce debate regarding the ongoing use of leather dressings. Common practise is to apply dressing to leather books to preserve the leather and retain strength and flexibility of the binding. Without getting too detailed about the debate, the bottom line is that dressing has not been found to have a preservative effect but most agree that if done correctly it does provide an immediate improvement in the feel and look of the leather and can improve the flexibility of the spine and book hinge if the book gets regular use. For a new binding, we recommend a light dressing applied once every 1 to 2 years only. We use a neatsfoot oil and lanolin dressing in a mix of 60/40. 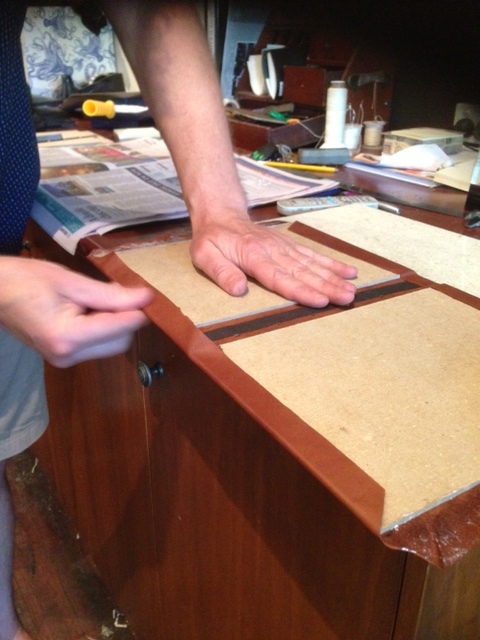 You can make this yourself or purchase something similar from Shepherds, Hewitts or other reputable bookbinding suppliers. 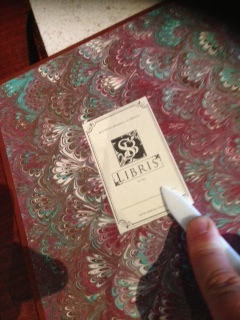 Handling: Handle books with clean, dry hands that are free of any oils or moisturisers that could penetrate the leather. This is probably stating the obvious, but you should use the book in an area that is clean and dry also. When removing books from the shelf or slipcase, grip the middle of the spine where the book is strongest (not pulling down from the top). Many slipcases and boxes have a ribbon that allows you to gently lift the book from its housing so that you can easily grip the spine to remove. Make sure you correctly place the ribbon for this purpose before putting the book back. Following these guidelines will ensure that your precious books will remain in great condition. Books are meant to be read and used, so if you are not planning on keeping your book untouched in its housing, over time some wear or damage can occur. By getting any damage attended to quickly you will prevent further and sometimes irreparable damage from occurring. 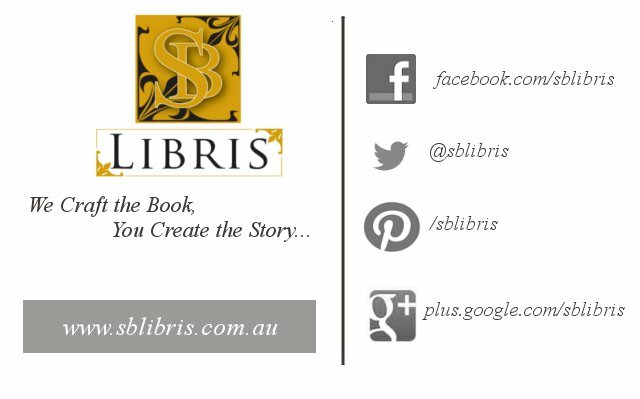 Visit our restoration page for details if you have a book in need of repair. Want further information? Please add you comments or questions below or you can submit an online form here. Hope this answers some questions. Stay tuned for the next two parts to this blog in the coming weeks.